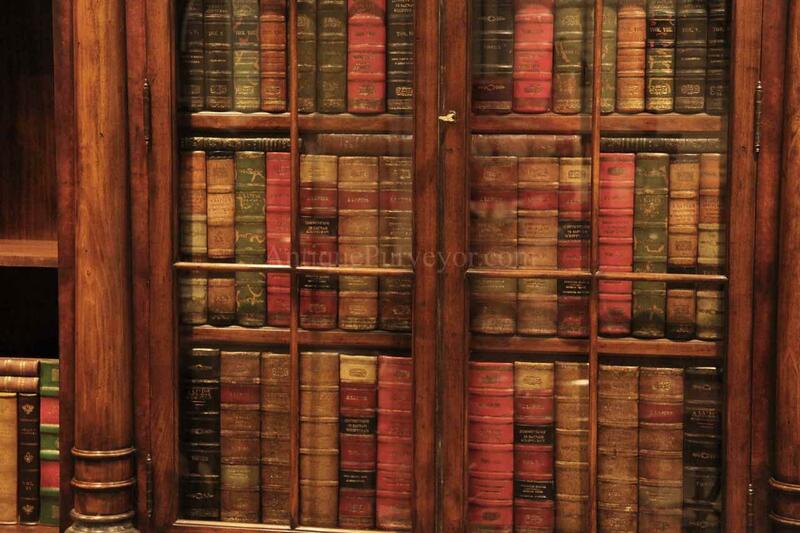 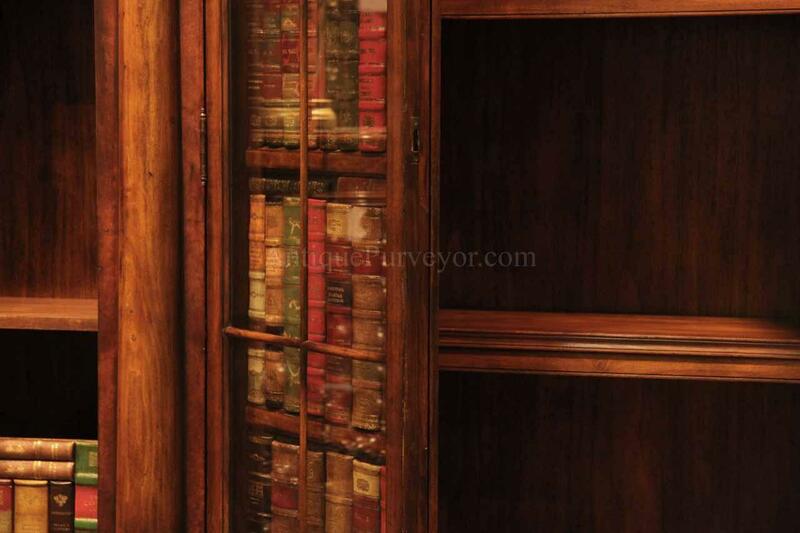 Here the faux book panel is shown moving as one unit with the glass door. 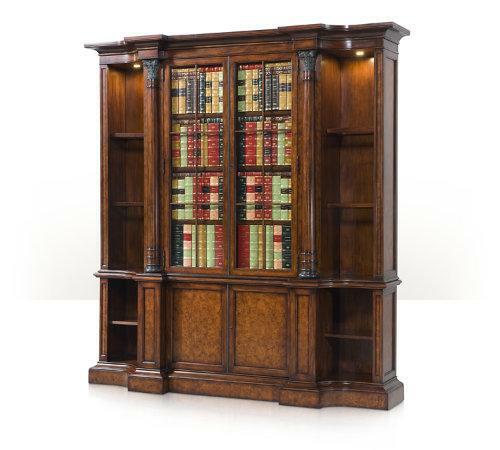 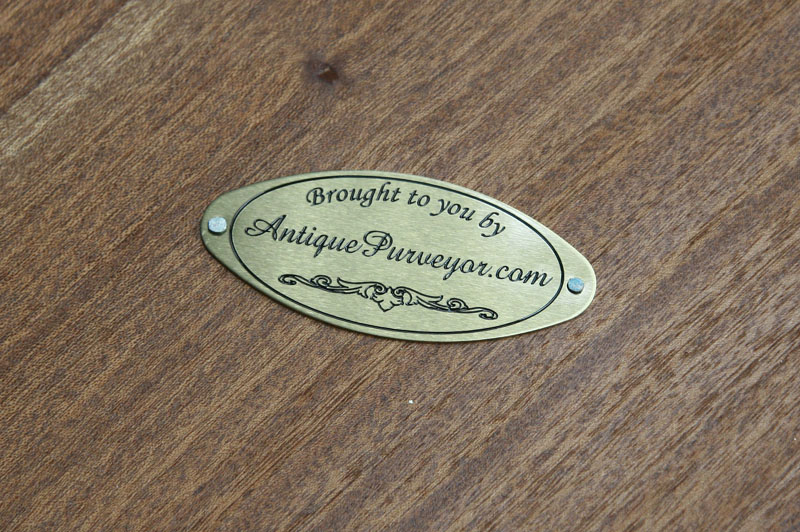 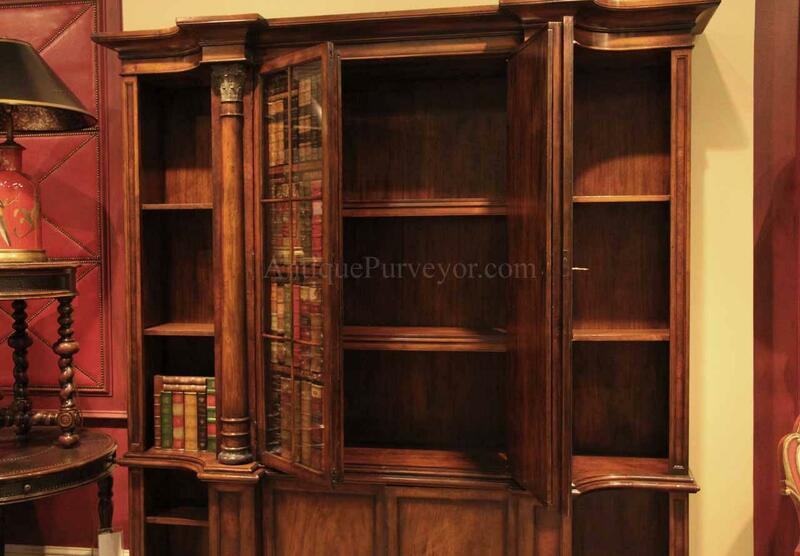 Description: Designer mahogany bookcase for the traditional home office or business. 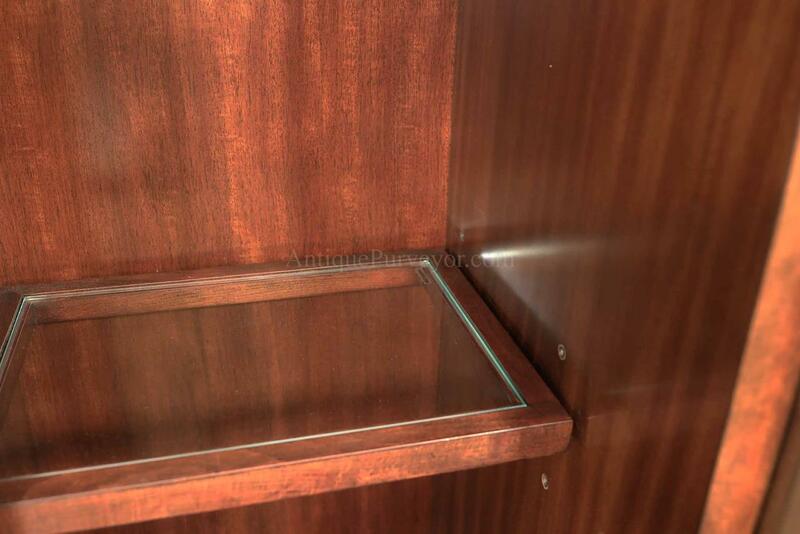 This cabinet has two opening glass doors. 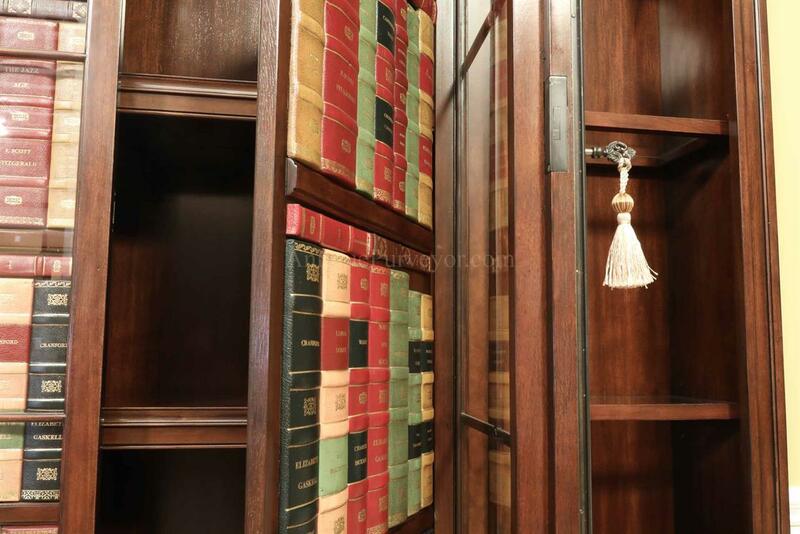 Each door has a glass framed door panel and a faux bookcase panel which is so real noone would know what you were hiding. 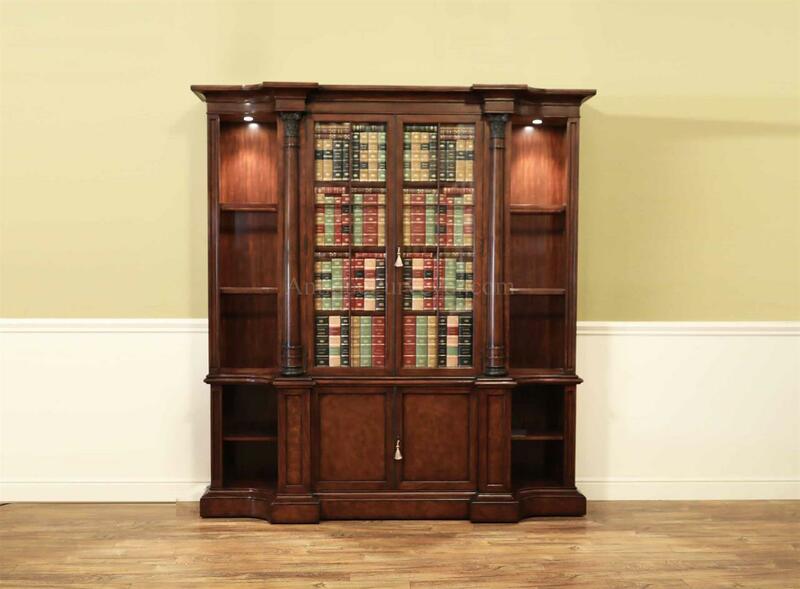 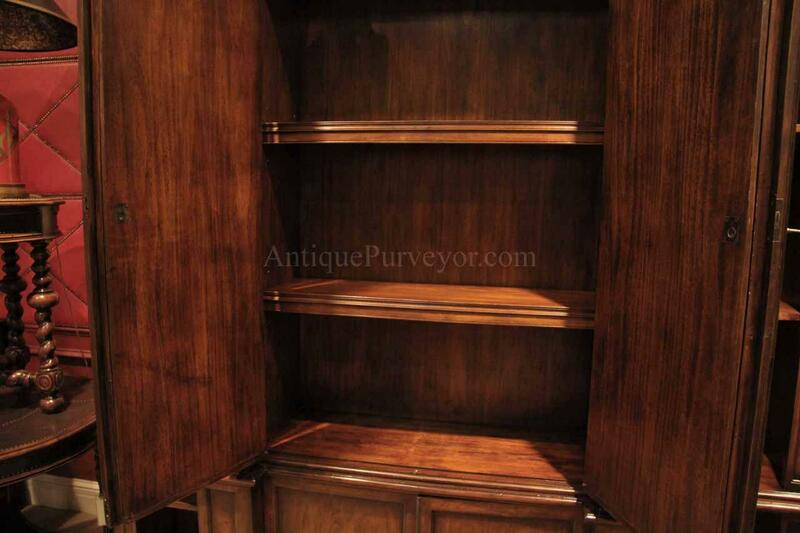 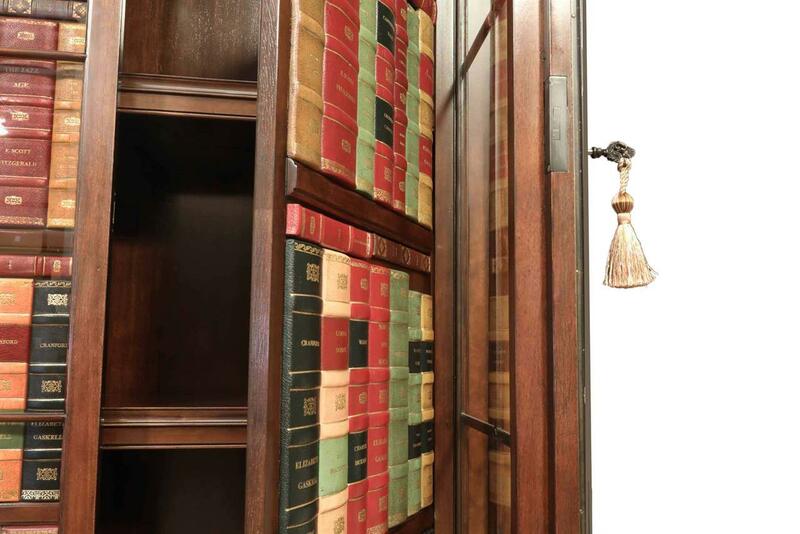 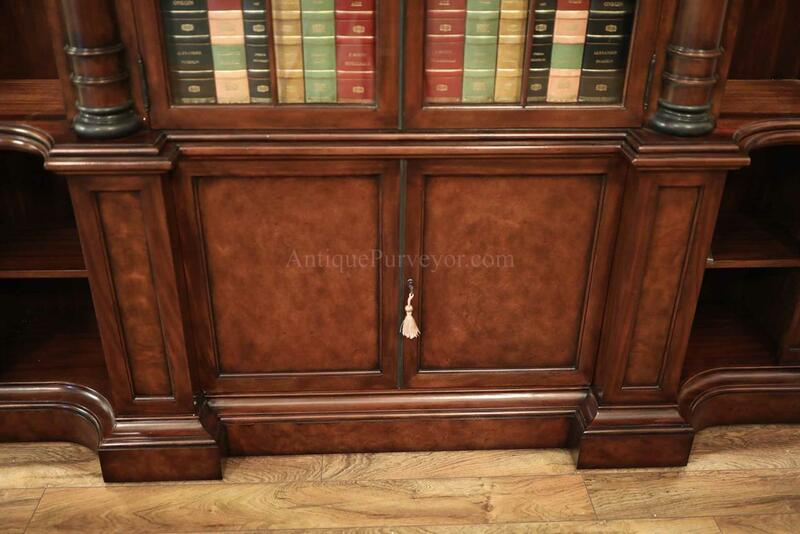 This antique-style bookcase with glass doors is a great way to hide an unsightly collection of books. 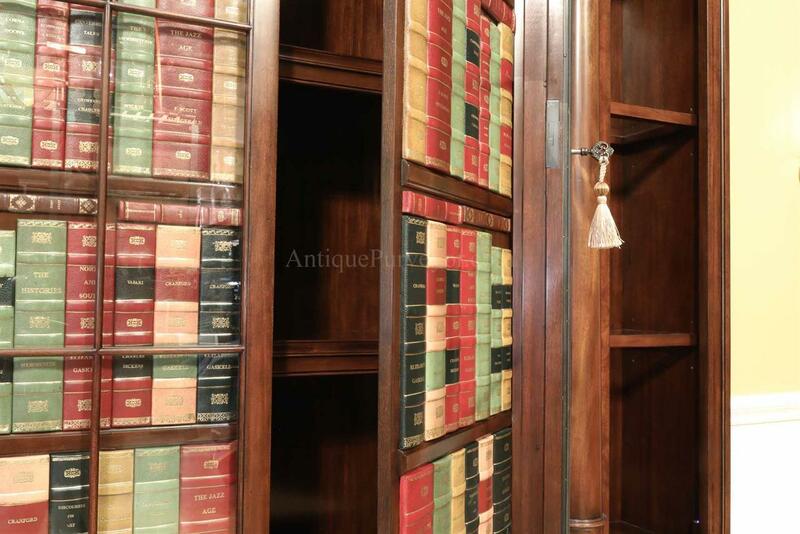 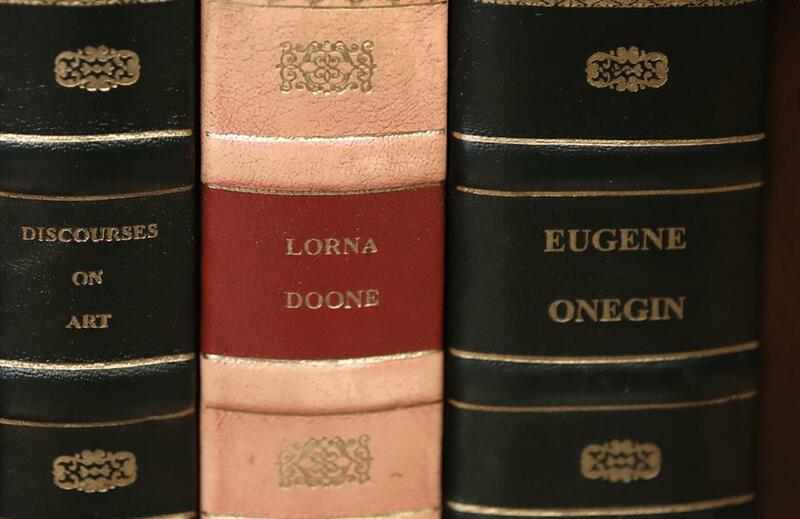 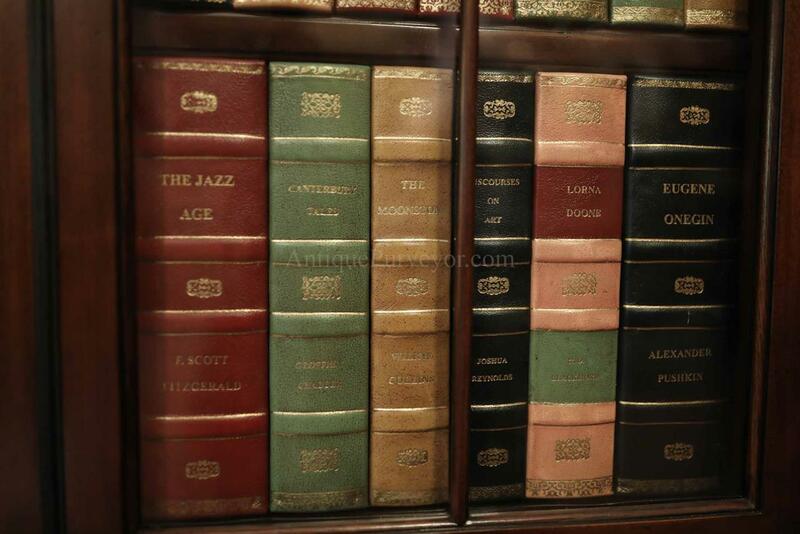 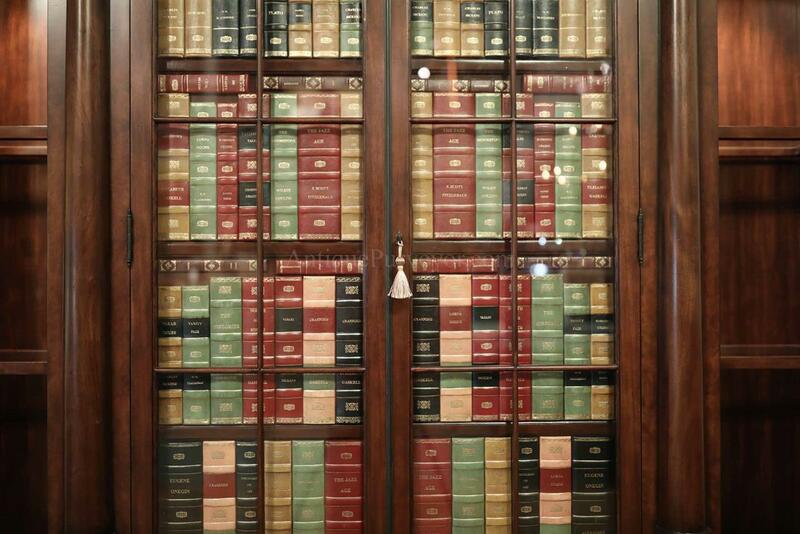 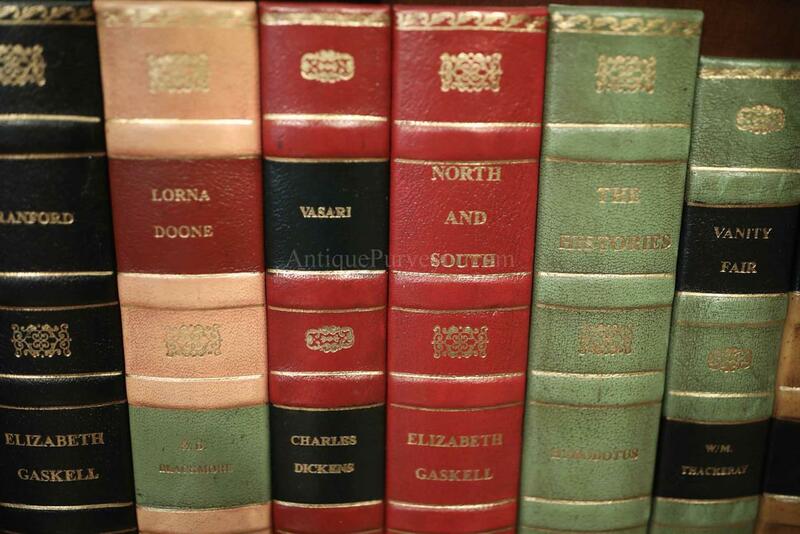 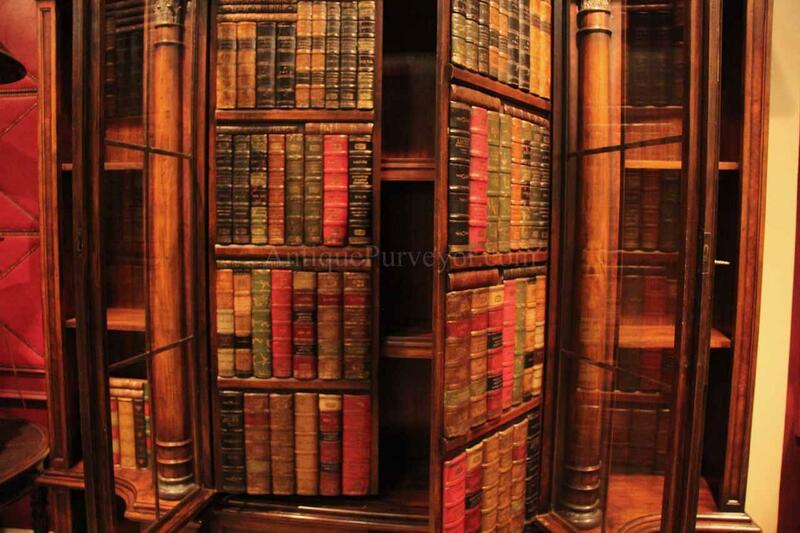 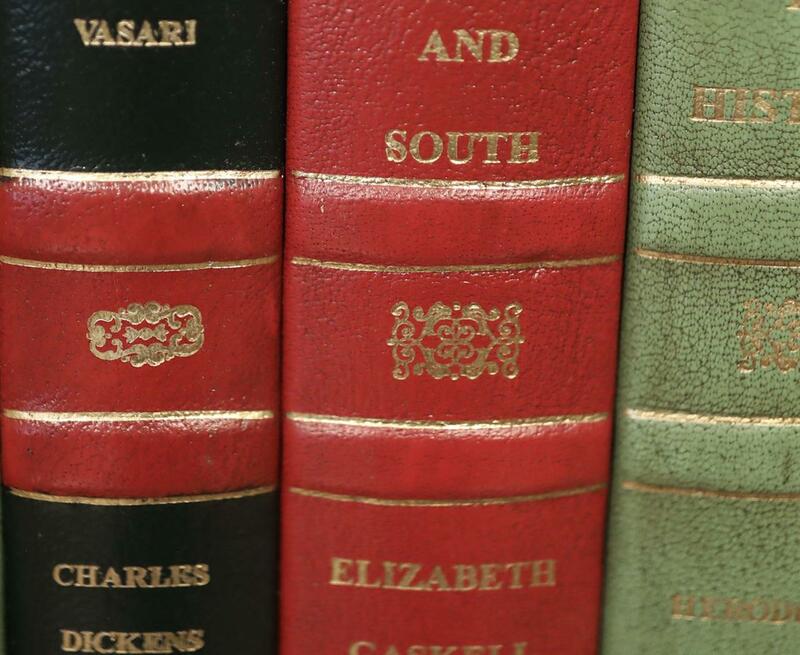 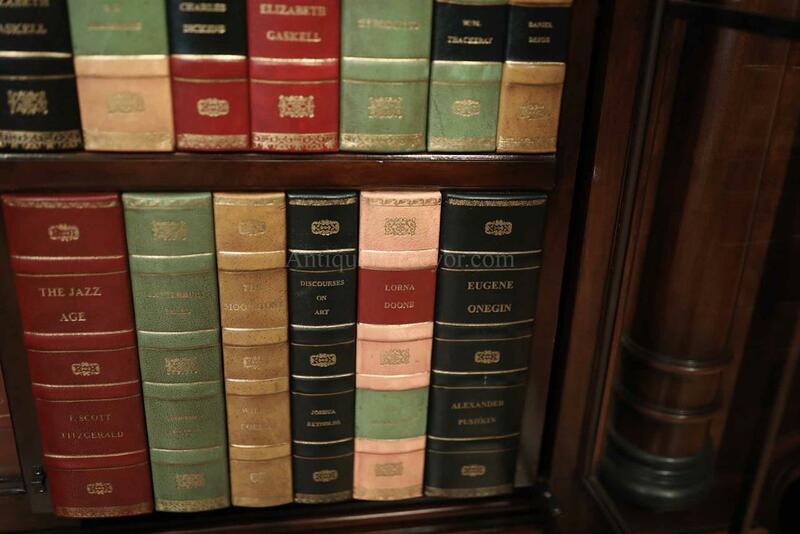 Keep your library neat by hiding it behind a faux collection of beautiful bound books. 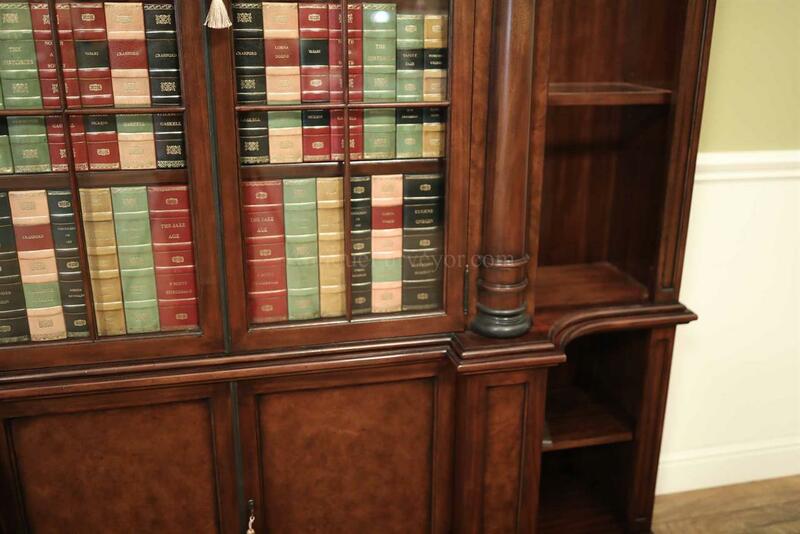 This luxury bookcase with glass doors features easy to replace glass. 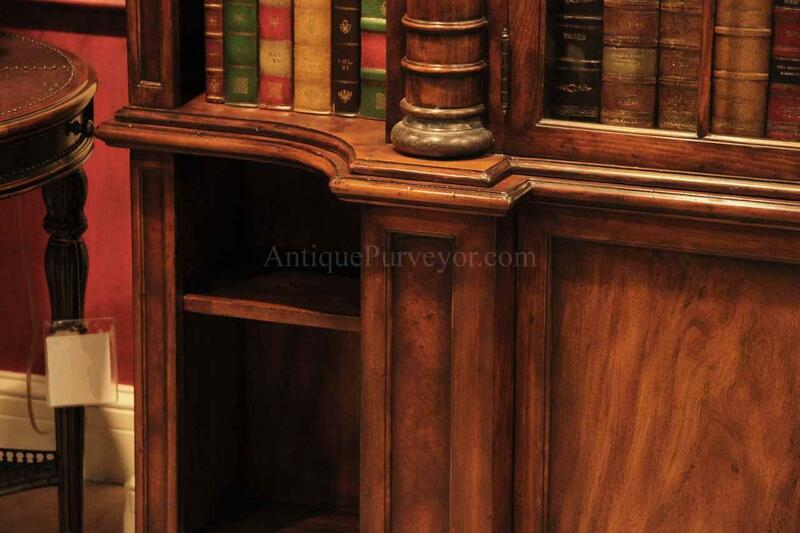 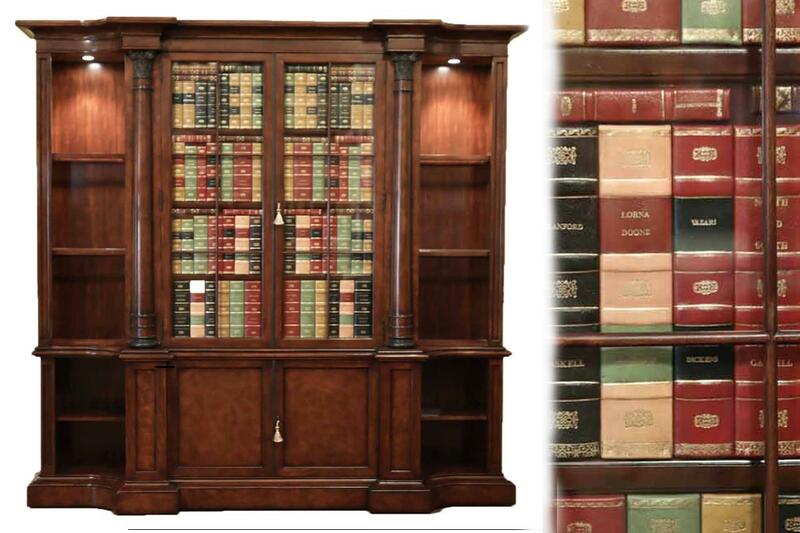 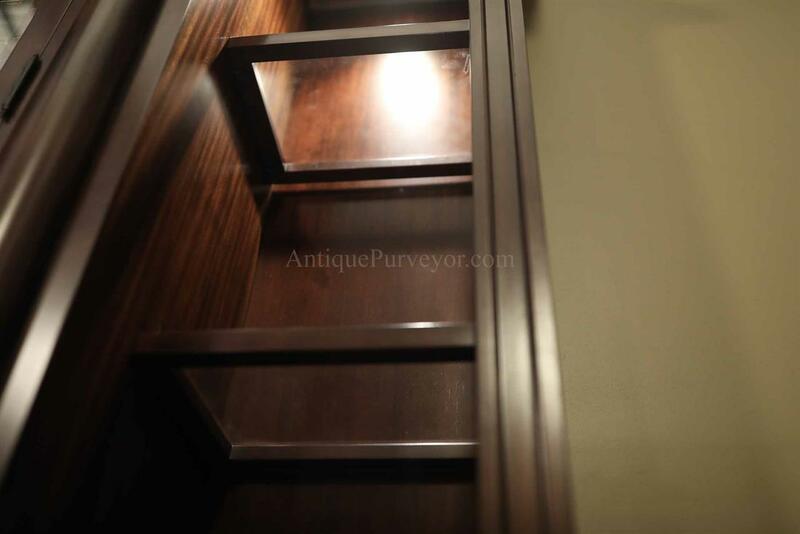 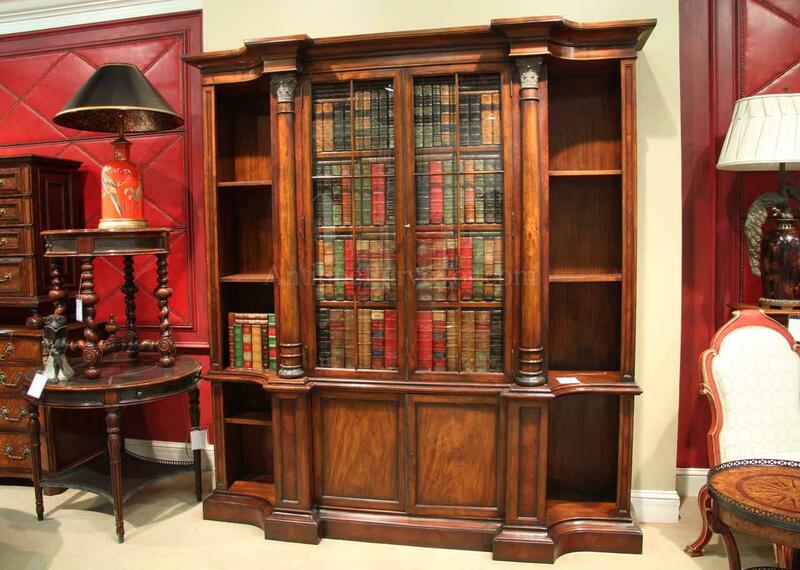 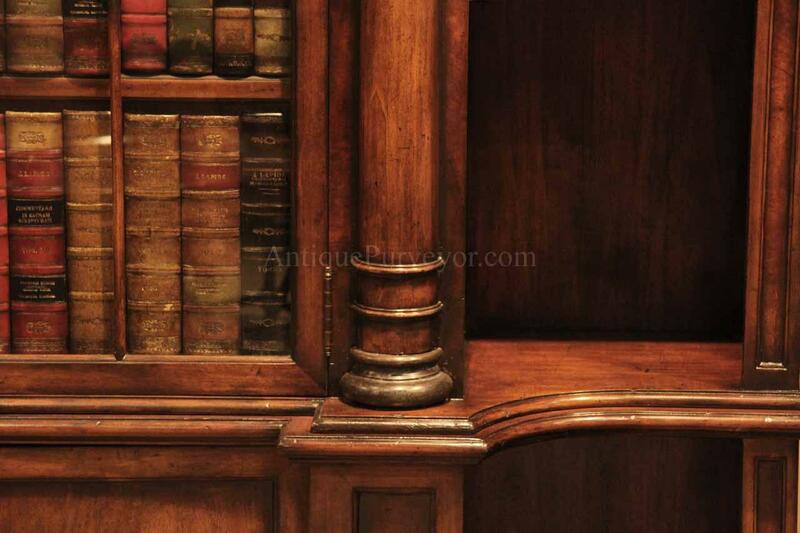 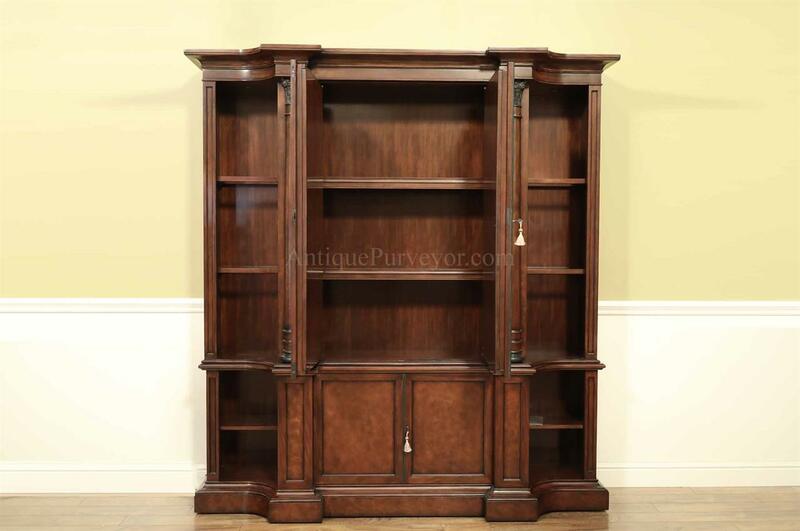 This magnificent antique-style mahogany bookcase also has a few open shelves on the left and right for smalls which you want to display in your space. 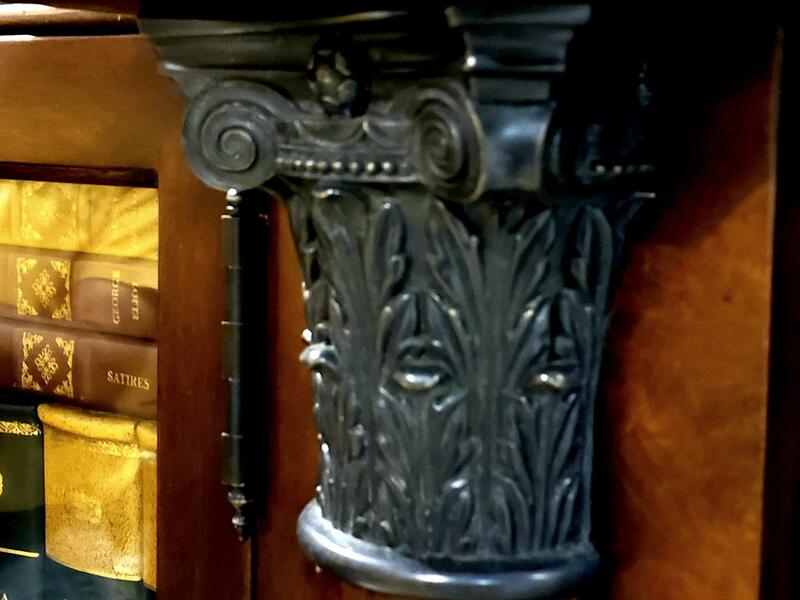 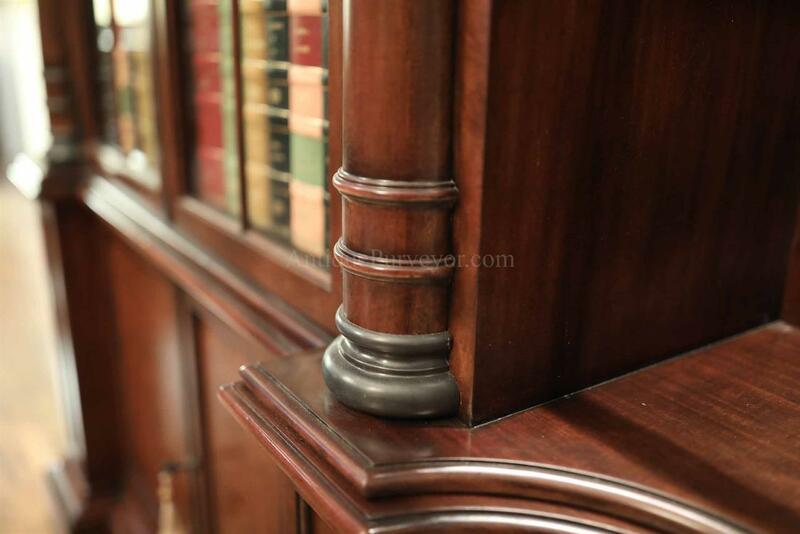 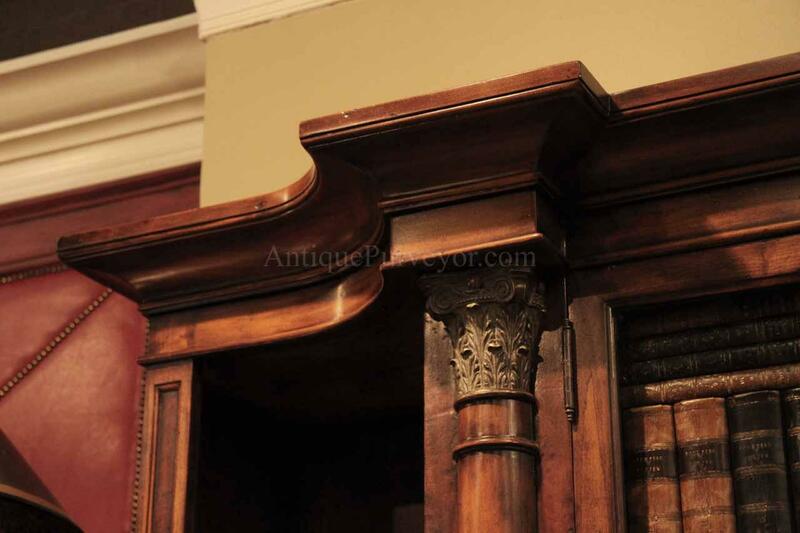 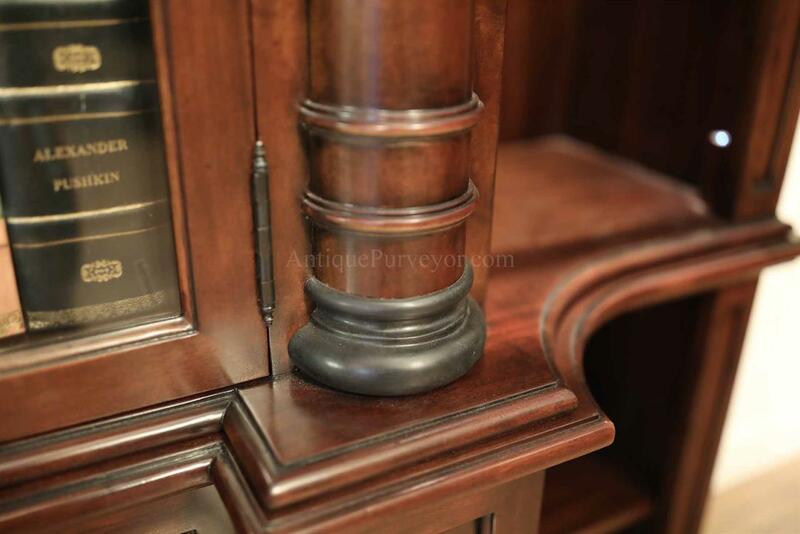 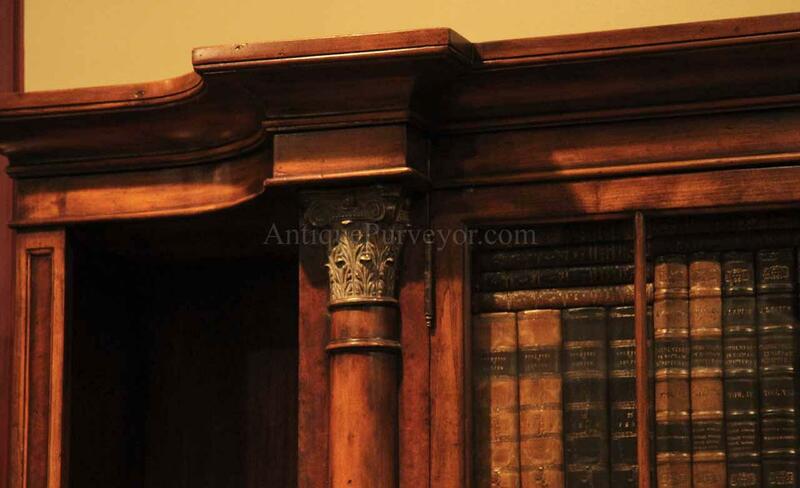 Molded cornice and corinthian columns make this a stunning piece of furniture for the higher end home office.